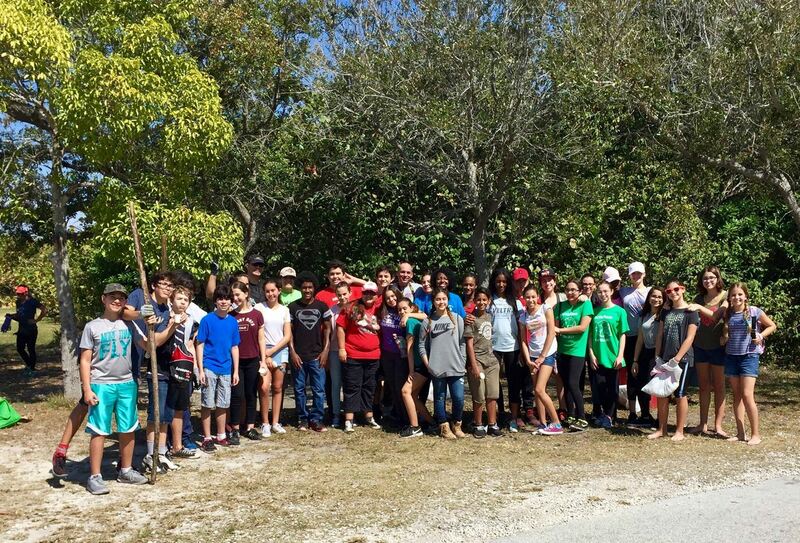 About a dozen of K-family students, parents and teachers joined the Friends of Oleta/Young Friends of Oleta and the Kiwanis SIB-NMB for a day to discover our Butterfly Garden and learn about our new Recycling Pilot program. The Kiwanis generously donated some native wildflowers and plants for the garden, which we all planted that day! 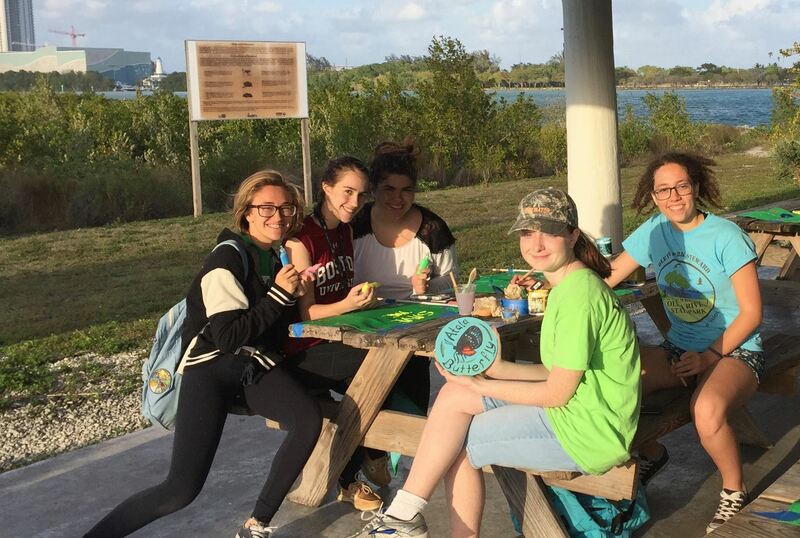 Young Friends of Oleta recycling leader, Eduardo Chocron led the group on a cleanup, focused on sorting out recyclable material to avoid sending all Oleta's trash to landfill. The Kiwanis grilled hotdogs for the group to extend some social time post-volunteering. 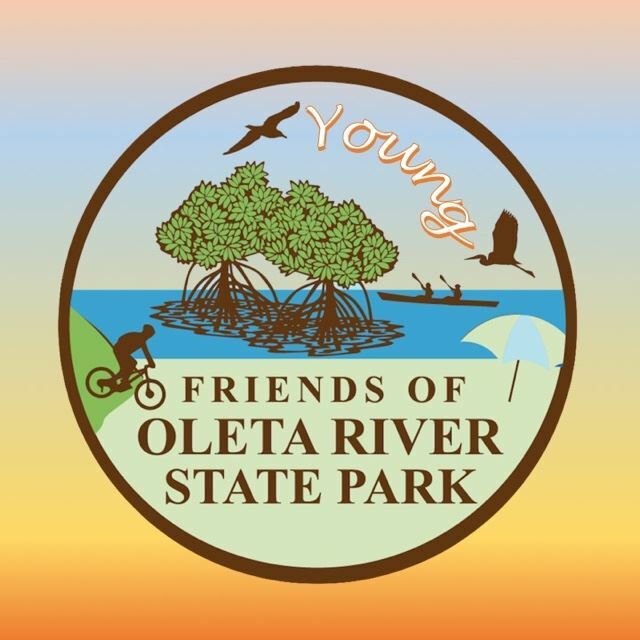 The Friends of Oleta and the Kiwanis SIB-NMB chapter are mutual corporate members and we appreciate their support of our programs, butterfly garden project and events. 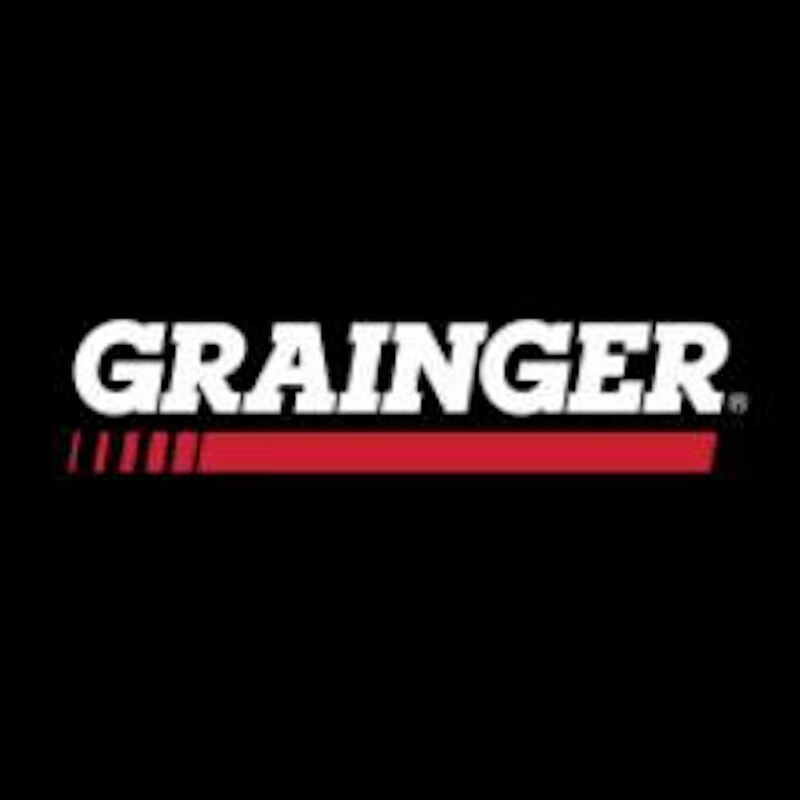 Their President, Lew Thaler, is a board member and has been generous with his time and energy in boosting the Friends in the SIB-NMB community. We were thrilled to host them at a Park pavilion and to have more K-family kids into Oleta! We partnered again in 2017 with Ms. Macko - a much beloved science teacher (and Science Department chair) at Aventura Waterways Prep Academy - and her students/families! They were a very big group and we planted a lot of new natives in the Butterfly Garden, as well as in new garden zone areas near parking lot #6 (a Park-staff project we are funding for the Park). The planting near parking was a big task with poor, rocky soil but they got it done! We appreciated the help to GREEN additional disturbed park areas. Ms. Macko was our Young Friends Recycling Pilot leader's (Eduardo Chocron) past teacher and they both enjoyed adding new recycling bins to the Park and collecting recyclables! It was a beautiful day at the Park and we are so thankful for dedicated teachers like Ms. Macko, who has brought hundreds of student volunteers to Oleta in the last couple years! 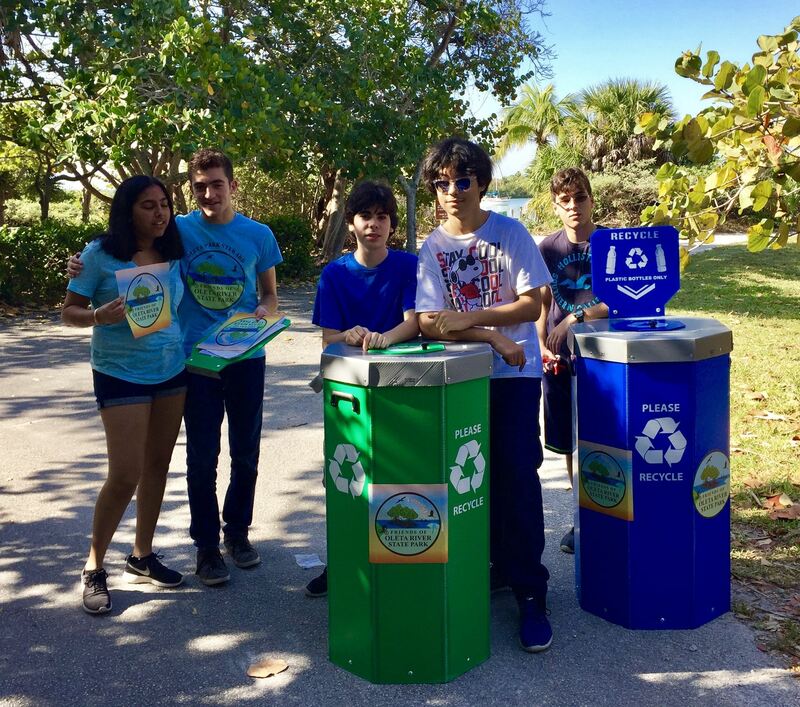 Young Friends of Oleta + Friends launch RECYCLING pilot! We have launched a Recycling Pilot at Oleta! 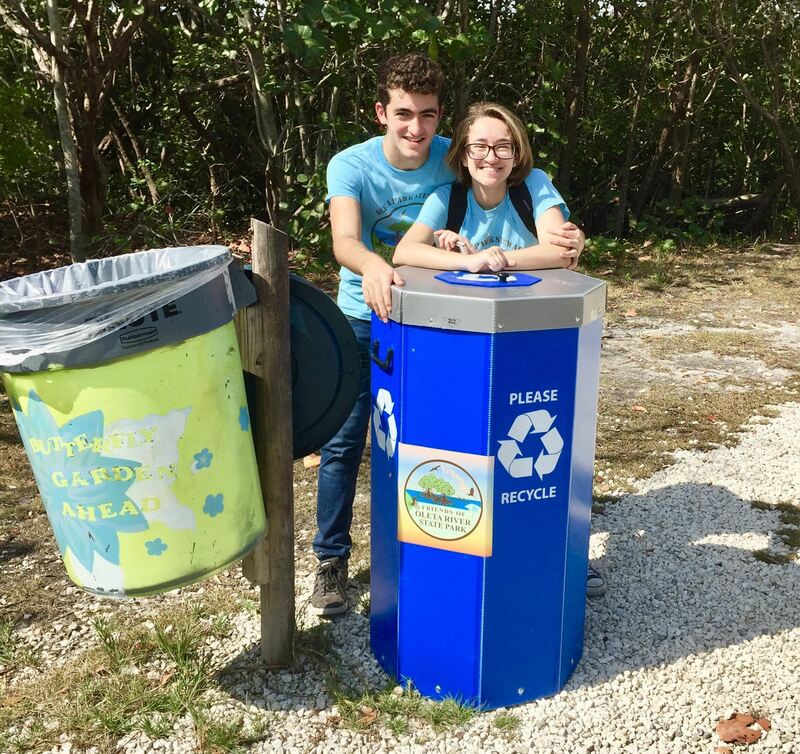 We have donated and installed four new bins and a couple red bins already at the Park to plan and test park recycling strategies, in the hope that one day recycling might be done at Oleta on a park-wide basis. Eduardo Chocron will lead the project for the Friends and another Young Friends leader, Florencia Casaballe, is helping to garner support to manage the pilot. So far we are finding good results in recycling compliance but the test will be upcoming busy weekends at Oleta. 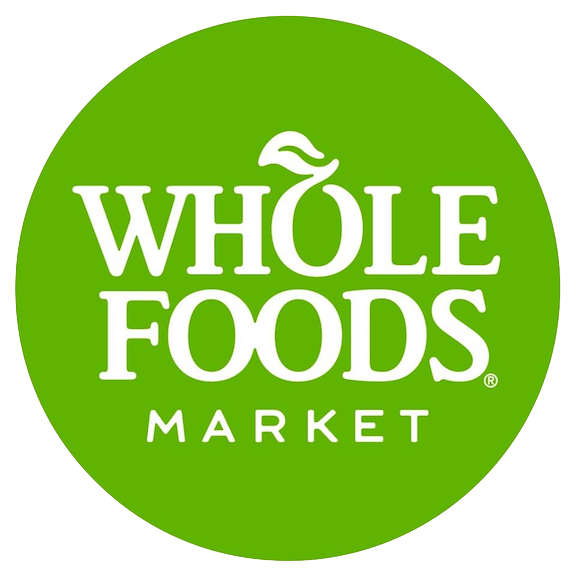 Thank you for using the recycling bins ONLY for recyclable items - aluminum cans, glass and plastic bottles - and no organic/food or drink items! 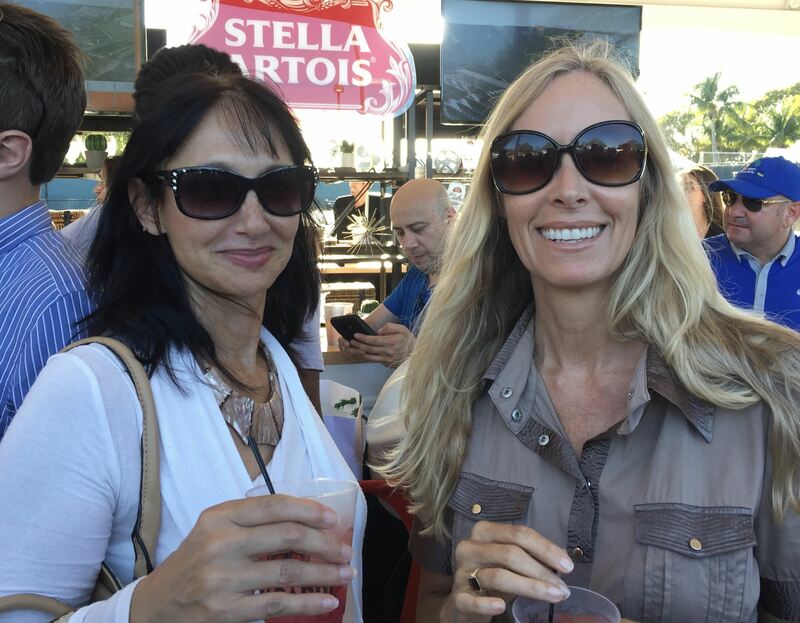 Nina Jackson (vp) and I (president) took a night off to enjoy some Miami Tennis last month and to take note of the last two years we have spent leading programs, events and volunteers at Oleta. We have attended nearly every event and spent thousands of unpaid/volunteer hours working to reach goals, which often have not been easy in the nonprofit world - striving to give a voice and value to our natural resources, while also better connecting our local neighbors and families to Oleta. I feel lucky to have Nina as our VP and, while we look forward to pass some torches on to others sooner than later - our commitment to complete Friends' projects and to sustain all the hard work and accomplishments we collectively (our volunteers) have achieved remains very strong! 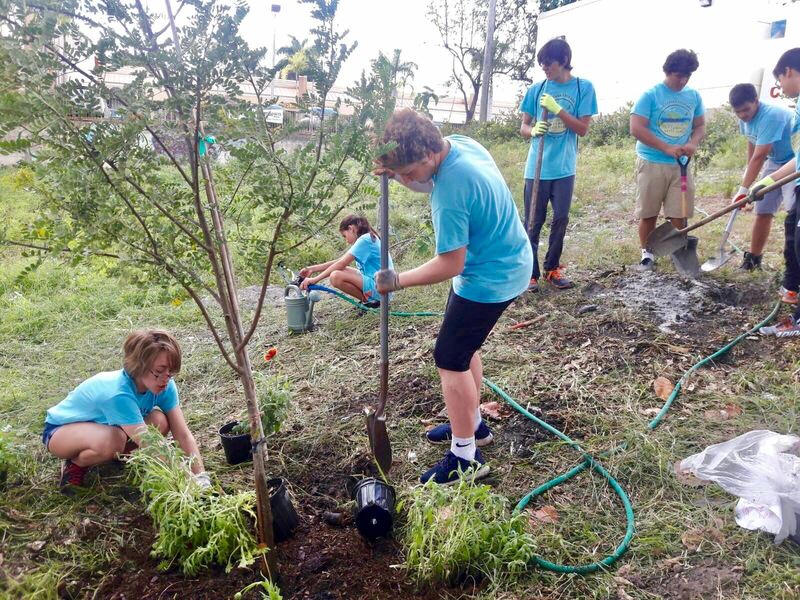 Super Biodiversity Boost at Oleta's Urban Corner GREENSpace! The Friends' first big 2017 native planting at the Oleta Urban Corner Greenspace was a gigantic success! We had a big crowd, including lots of our wonderful Young Friends of Oleta! Thanks in part to a generous donation by Opulence International Realty, we greatly boosted our sites native species diversity. We planted a Cinnecord, Geiger, Wild Lime, White Indigo Berries, White Stoppers, Locust Berries, Dune Sunflowers, Blanketflowers, Seaside Goldenrods, Wild Coffee, Muhly Grass + more. Alexander Plant Farm donated a large Gumbo Limbo and Satinleaf too! Our plantings are improving soils but we planted in many new areas so digging was very hard work - thank you Volunteers - you are always amazing!!! Our first Butterfly Garden Volunteer Day in 2017 was better than we had even imagined with nearly 30 of our faithful volunteers stopping by to lend a hand. We added two new native tree species, removed seaside mahoe/scaevola from the shoreline, weeded garden beds + mulched. 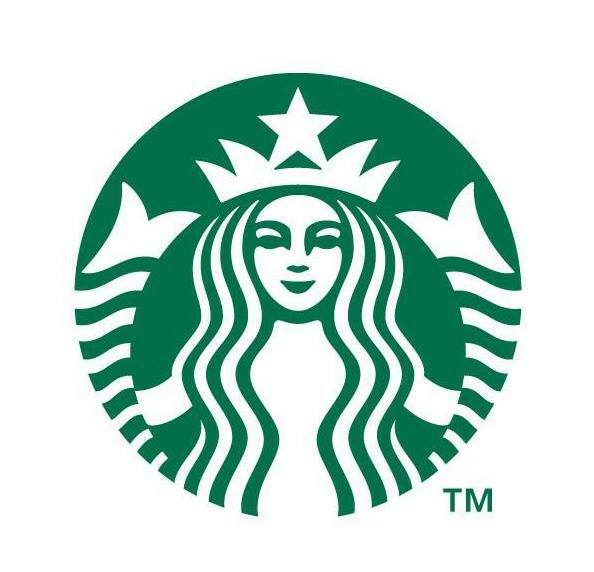 A great day - we are so appreciative of all of you!